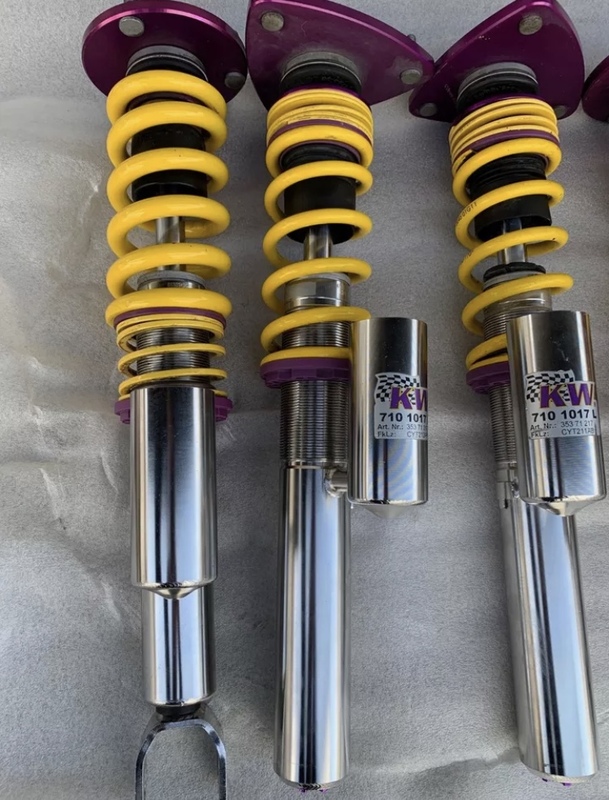 These are the more expensive GT3 spec units and also come with the KW uniball top mounts. This setup retails at over £3500 and is the full stainless steel INOX bodied version so good for long life. They had only done <1000miles so are as good as new. These can easily be adapted to a non GT3/GT2 997 by getting two small collars made for the front shocks.